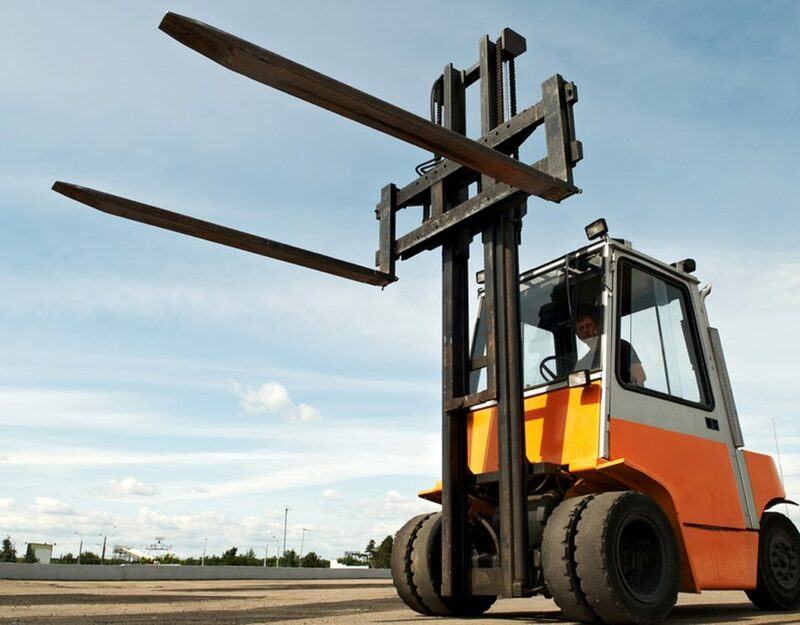 Forklifts are one of the most widely used industrial machines as they are highly efficient and effective. Forklifts have been in demand since decades as these help in shifting very heavy loads to short distances in warehouses, factories and docks etc. Forklifts help us to shift heavy loads and boxes with ease at places where a big lifting crane cannot reach. 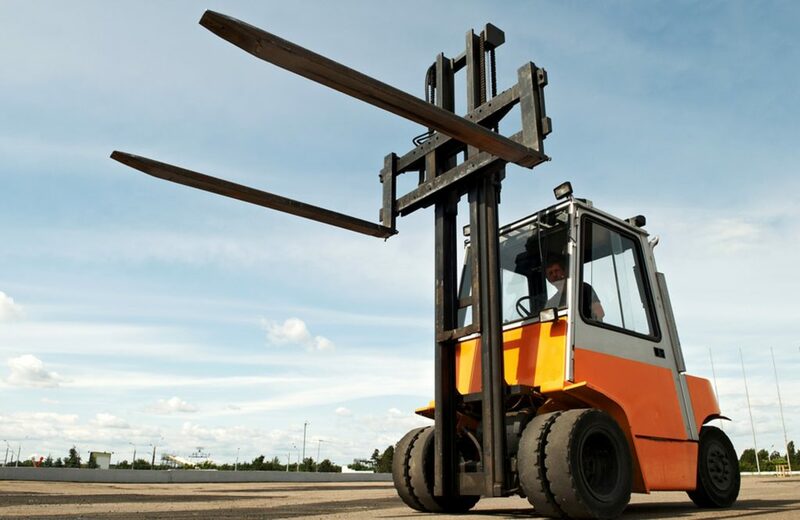 Forklifts ensure the safe, quick and proficient transportation as well as lifting of heavy objects and boxes. Forklifts are the de facto of industrial load transfers for short distances. Forklifts are vehicles and thus they require fuel for their working. Basically forklifts support 3 main types of fuels i.e. Gas Powered, Electric Powered and Diesel Powered. The efficiency, performance and lifetime of a forklift, all depend upon the fuel on which the forklift runs on. 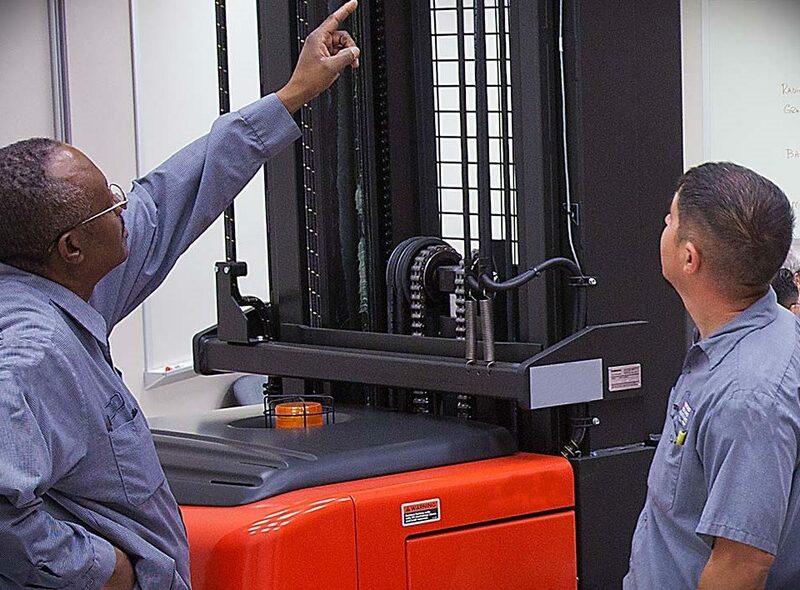 There are many other factors that differ in different forklifts types like the cost, maintenance and environmental effects. 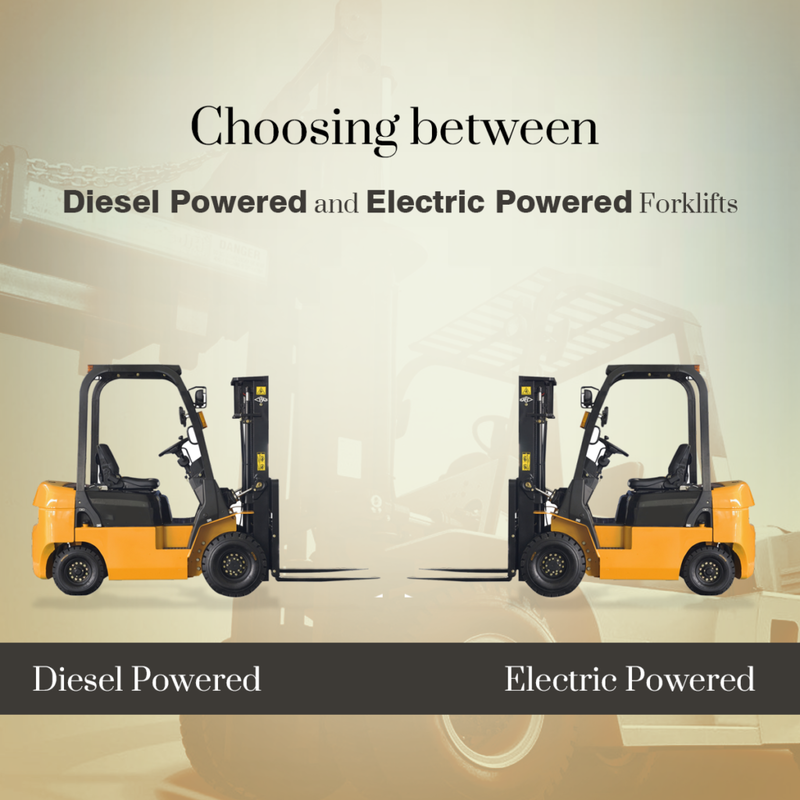 Two of the most commonly used forklifts are Electric Powered and Diesel Powered forklifts, which are different in many aspects. 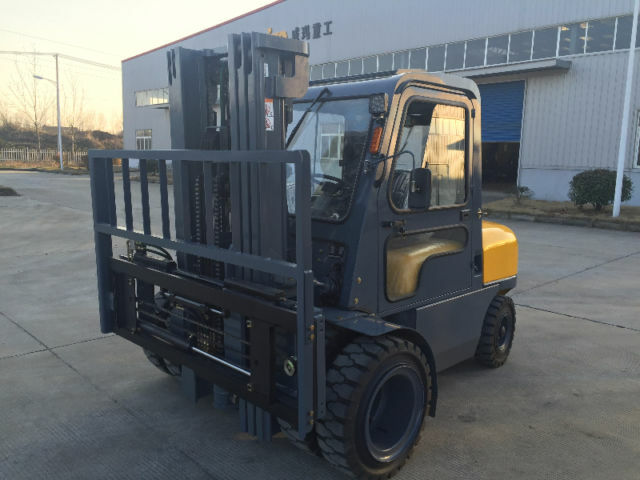 So here we will have a brief look at both the forklifts, in order to make the process of choosing between these two forklifts easier. As the name suggests, these forklifts run on electrical energy which is transferred to engine through a battery attached. This is a rechargeable battery which needs to be charged every now & then before using the electric forklifts. The harmful effects of electric forklifts to the environment are very few as compared to diesel powered forklifts. The electric forklifts doesn’t involve complex engine working as diesel forklifts, so these make very less amount of noise than diesel powered forklifts and the generation or discharge of harmful emissions into the environment is almost zero. This makes the electric forklifts a far better option for you if you are going to use these forklifts for indoor purposes like in warehouses because these don’t emit harmful gases or high noises for the workers working inside. The size of electric forklifts is quite small but the lifting capacity is quite high, making these suitable for lifting heavy weights around small width spaces as these are clutch-less while operation. Moreover the electric forklifts require low cost maintenance when compared to a diesel powered forklift because the moving parts are very few in electric forklifts as they work on a battery that needs to be recharged before use. Generally after such large number of advantages, it might seem that electric forklifts don’t have any disadvantages but being a machine, it can’t be perfect thus there are few disadvantages in regards to the battery only. For these forklifts, a battery and charger is required which makes the initial costs of these forklifts higher. If you have only one or two these forklifts, you might have to wait for the batteries to get charged or otherwise you might have to keep an extra pair of batteries which might be charged while others are being consumed. This will also increase the expenses. 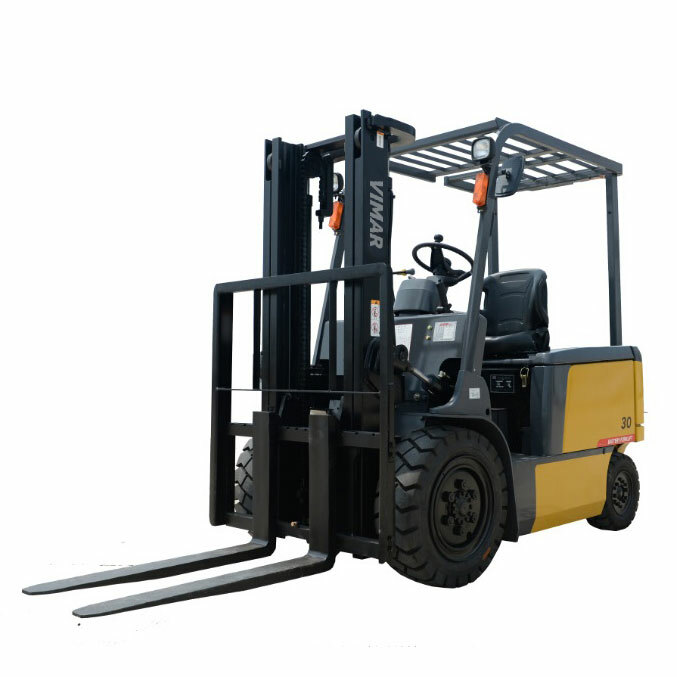 These forklifts are mostly advised to be used indoor only as prolonged exposure of the batteries, circuits and electric components may lead to engine faults. From the name you can guess that these forklifts work on diesel as a fuel and thus, these forklifts work in a mechanical way just like cars etc. 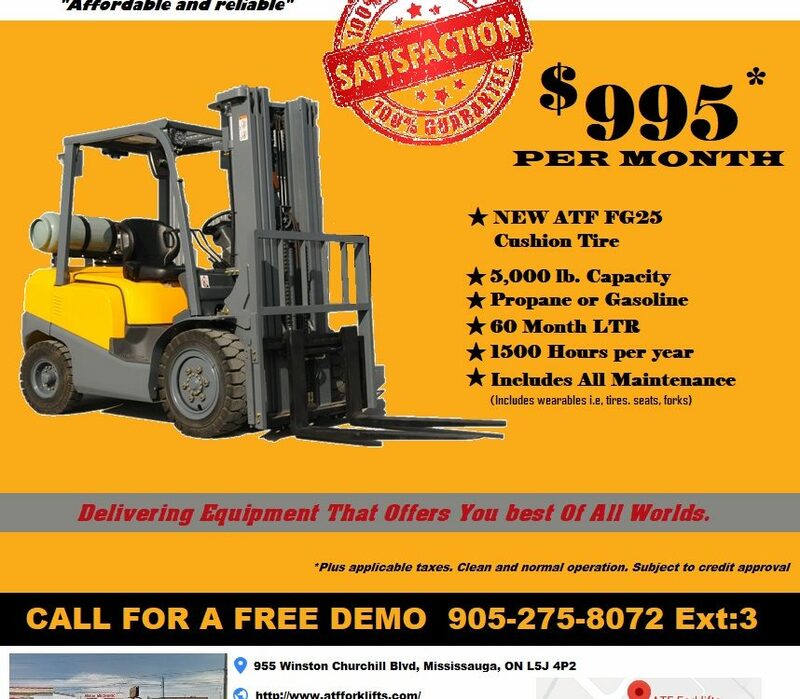 These forklifts work with the help of diesel-powered engines that involves a lot of moving parts. Diesel forklifts are quite efficient for outdoor usage no matter what kind of weather may be & also the cost of these forklifts is quite lesser than the electric powered forklifts. These forklifts just require a refueling of the fuel tank when the forklift is low on the fuel. Thus, these forklifts are always available for working i.e. no downtime, unlike electric powered forklifts battery charging time. These forklifts don’ require an additional space for battery charging and you can park this anywhere you want. 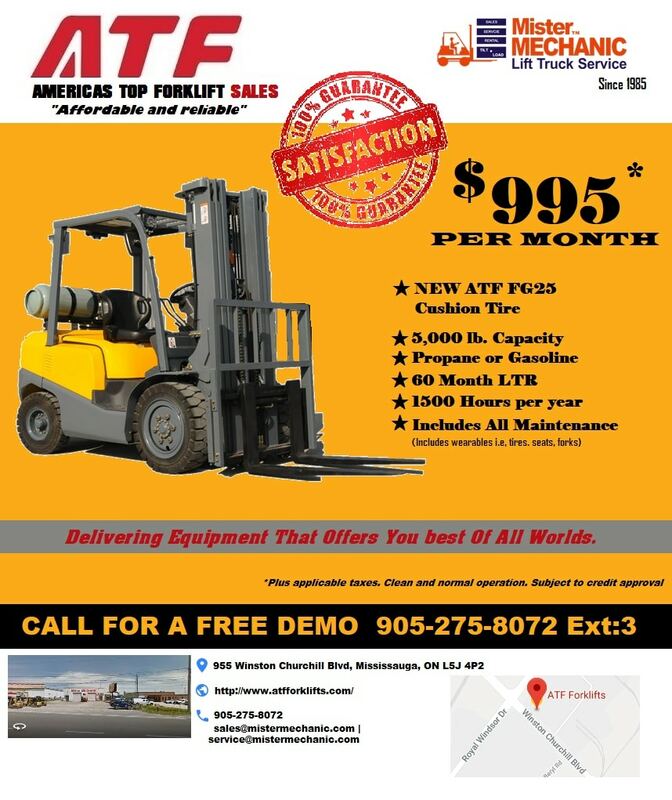 The diesel powered forklifts offer better performance than electric ones, if we talk about the speed of movement or lifting speed. These forklifts don’t get worn out easily. These forklifts cause a lot of noise as well as emit harmful fumes that can cause health issues to the workers, no matter the forklift is being used indoors or outdoors. The size of these forklifts is quite big as compared to the electric forklifts, making these forklifts require extra spaces for their proper working, moving and taking turns. From the above points, you can easily understand how both forklifts work, their advantages & disadvantages but if you are still confused between these two then you must consider these two factors i.e. Overall Cost and Usage (Indoor or Outdoor).